Please contact us if you would like to link to this site. The Ace Cafe - Motorcycles, rock n' roll and the Ace Cafe, three simple expressions, but they represent a powerful fusion, not only in yesterday's bike scene, but also today. Inspired by rich heritage and traditions, the cafe still embodies the same values as it did when it was first home to the Ton Up boy and girls and then Rockers. The bikes and the music have changed, but the spirit remains the same. thebiketransporter.co.uk - Bike Collection, Delivery and Transportation. finditmp.com - Mpumalanga's online business search guide. Ariel Owners Motor Cycle Club UK - Dedicated to Ariel motorcycles and their owners. Royal Enfield Owners Club UK - The REOC exists as a forum for the interchange of ideas and information on the maintenance, restoration and use of Royal Enfield motorcycles and machines. motorcycle-fairing.com - Your No.1 source for aftermarket sportbike fairing sets. Vincent HRD Owners Club - This site exists to persuade You to become a member of the Vincent H.R.D. Owners Club. NSU Owners Club - We are the longest running NSU Club anywhere in the world. Mad Dog Motorcycle Club - founded in 1994 in the Philippines it is now the premier MC in Asia. Military Plaques - Any logo carved on any size of plaque. Any Design! Any Shape! Any Size! Solid mahogany, hand carved and painted. Marks Garage - this site provides pictures and history of classic sports cars and sport bikes from the 1950's to the 1980's. Motorbike-Crazy - Motorcycle, Accessories, Crash Helmets, Indicators, Exhausts, Shop, News, What's On and more. Compare bike insurance, Motorcycle Parts and Motorcycle Accessories with MPA. Also comparing Motorcycle Paddock Stands and Motorcycle Body Armour. Vintage Auto Adverts - Vintage advertising offers a fascinating glimpse into our history. 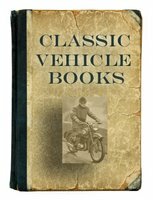 Visit our collection of Vintage Auto Adverts and other motoring memories; featuring vintage and classic cars, motorcycles, scooters, products and events from the 1950's to the 1970's, described with interesting and sometimes fun facts. Cool Car Cafe - For American Classics or other Cool Cars.